Packaged Size (in. – H x W x D) 21.65 x 24.61 x 21.46 in. Packaged Weight (lb.) 57.2 lb. 56.90 lb. Size (in. – H x W x D) 16.8 x 16.7 x 20.1 in. 17.2 x 16.7 x 20.1 in. Weight (lb.) 50.7 lb. 51.6 lb. 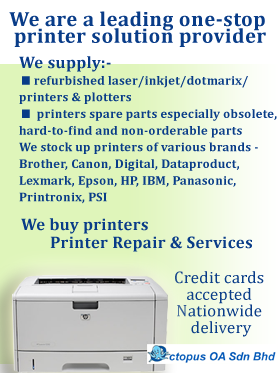 Each printer is disassembled, blown free of toner, dust and debris. by cleaning, relubricating and replacing the fuser film when necessary.